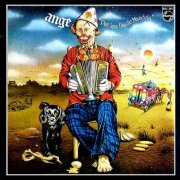 Ange are French. Now, I don't want to be accused of statin' the bleedin' obvious, but they're really French, to the point where as a (pretty much) non-French speaker, it's difficult to work out where they're coming from at all. 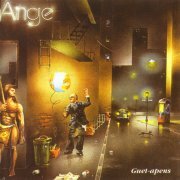 I've read any number of times 'the Genesis-influenced Ange'. Er, sorry? To my ears, the only influence is in the most general terms, i.e. they play symphonic progressive rock, and belong to the 'first wave' of bands, forming around 1970. Their work is deeply rooted in French culture, with many French folk influences seeping through, and a reliance on Gallic themes in their writing; fair enough, it made them stars in France, and they're still afforded a great deal of respect there. 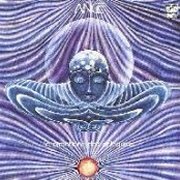 However, Christian Décamps' rather tortured vocals can be rather hard going, and when his narrative flow relies upon your knowing his language, you may find you have a problem with Ange. While the other romance languages (Italian, Spanish etc.) are fairly easy on the ear, musically speaking, for some odd reason, French frequently isn't, with the end result that many French progressive vocalists can sound rather harsh and gutteral to the English-speaking ear (so to speak). Le Cimetière des Arlequins was their second album, notable for its Jacques Brel cover, Ces Gens-là. It followed the previous year's Caricatures (***½), and has a similar sort of sound; murky guitar- and organ-driven prog, overlaid with Décamps' declamatory vocal style, with him talking (or shouting) as much as singing. My French isn't good enough to even have a stab at what he's on about, but he seems to mean it, so fair enough. The mood only lightens occasionally, as on the acoustic La Route Aux Cyprês, with the rest of the album having a dense sound, more late-'60s than 1973, to be honest. Francis Décamps' Mellotron use is extremely difficult to spot, as they appeared to be using heavily effected strings, which don't sound that dissimilar to some of the organ patches. Actually, this is a recurring problem with French bands, for some bizarre reason; see: Arachnoid. Anyway, the only 'Tron I can hear is on De Temps En Temps, but I could be completely wrong, or it may be all over the album. By the way, my LP goes into a locked groove at the end; wonder how they dealt with that on the CD? Things get confusing at this point. 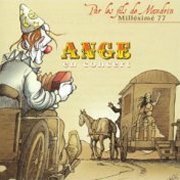 The next Ange album, '74's Au-Delà du Délire (****) was a far more progressive effort, and has something that sounds an awful lot like a Mellotron on it, although the detailed equipment list fails to mention one, so maybe it's the Viscount organ. Who knows. There's none credited on Emile Jacotey (1975, ***½), either, but at least this time it doesn't sound like it. Par les Fils de Mandrin ('By the Sons of Mandrin') has more in common with its immediate predecessor, with much folk-influenced material, although side two picks up a bit with the first of the two Mellotron tracks, Des Yeux Couleur d'Enfants' (which seems to translate as 'the eye colour of children'. Huh?). The rest of the album carries on pretty much as before, with some more 'Tron strings on the first part of Hymne À La Vie, mostly without returning to the more symphonic sound of Au-Delà du Délire. Incidentally, an English-language version of the title track is available on the Vagabondages compilation, which (I believe) is the only time the band have recorded in a language other than French. 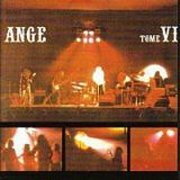 Tome VI is a double live album, fairly neatly summing up Ange's career to that point, with one new track, and reworkings of others, including doubling the length of a Caricatures song, Dignité. Good versions all round, especially Fils De Lumière from Au-Delà du Délire, showcasing their eclectic, theatrical style; I believe there's a video available from this period, which would definitely be worth seeing. Their Mellotron's clearly visible in a couple of the sleeve pics, but once again, almost inaudible to the naked ear; I'm beginning to wonder if they had some really odd tapes in it that I'm not recognising or something. Maybe they considered it was worth hauling along for just a track or two, or maybe they used it more on the stuff that didn't make the album. Who knows. Anyway, the only place I can actually hear it is in the reprise of Par les Fils de Mandrin's Hymne À La Vie (Cantique). Buy, but not for the 'Tron. Their next studio album was their last real progressive release, and, weirdly enough, is the only one to feature any decent amount of Mellotron; instead of their usual trick of burying it under layers of production, it's right at the front of the mix, and used extensively. The songs on Guet-Apens are some of the best I've heard by the band. too; Dans Les Poches Du Berger has a repeating 'Tron strings chord sequence to die for, and Capitaine Couer De Miel is an excellent full-on prog epic. Francis Décamps' Mellotron use centres largely around great swathes of strings, though Un Trou Dans La Case and Capitaine Couer De Miel feature male voice choir, along with string melodies. He also uses what sounds like string synth and the same odd organ sound he'd used on previous albums, but the 'Tron is pretty much his main keyboard on the album, making you wonder why he didn't use it that way before. And that was it until... 2003. Don't get all excited; it's an archive release, but an excellent one, titled En Concert - Par les Fils de Mandrin Milléssimé 77, the band playing the whole of Par les Fils de Mandrin, in sequence, with a couple of extra tracks stuck on the end. It's a very worthy purchase, with Ange giving it their all, and far more Mellotron than on the studio version. Apart from reprising the studio parts (but louder) on Des Yeux Couleur D'Enfant and Hymne À La Vie, Décamps adds very audible choirs on Par Les Fils De Mandrin, while the first several minutes of Ainsi S'en Ira La Pluie are almost entirely strings, with a major choir part at the end. Fantastic! So; a bit of a mixed bag, really. For symphonic progressiveness, get Au-Delà du Délire, Tome VI, Guet-Apens and maybe a later release, '89's more modern-sounding Seve qui Peut (***½), but for Mellotron, just Guet-Apens and En Concert.... For an overview of their early career, get Tome VI or Vagabondages, but if you like their style, get all the above, although quality does vary a little. I believe everything from 1980's Vu d'un Chien is worth avoiding, with the honourable exception of Seve qui Peut; 1981's Moteur! is certainly pretty awful. Both Décamps brothers have released solo albums; Francis Décamps' Histoire de Fou (1979) contains Mellotron. Given that Ange released ? as late as 2005, you might've thought that they'd have come up with a slightly more Internet searchable-friendly title, mightn't you? Unsurprisingly, it sounds little like their early work, as indeed, does their '80s output, featuring a ridiculous level of stylistic variation, to the point where not one track sounds alike, metal guitar duking it out with techno synths and piano balladry, often all in the same song. Highlights? Opener Le Couteau Suisse features some creative use of Autotune (see? It can be done), while the album's two nine-minute tracks, Histoires D'Outre Rêve and Naufragé Du Zodiaque bear mention, if for no other reason than their ambition. Tristan Décamps (Christian's son, I believe) plays something that's presumably meant to sound like Mellotron strings on Ricochets, turning up again on Quand Est-Ce Qu'on Viendra D'Ailleurs?, fooling absolutely no-one in the process. So; chanson/metal/dance/r'n'b/prog, anyone? I can't fully recommend this to anyone other than hardened fans, but at least Décamps refuses to slide gracefully (and tediously) into an MOR middle age. Different.